Goodreads: Follow in the footsteps of much-loved authors, including Ernest Hemingway, James Joyce, Virginia Woolf, Mark Twain, Jack Kerouac, Jane Austen, and many more. 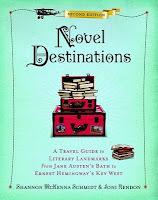 For vacationers who crave meaningful trips and unusual locales, cue National Geographic's Novel Destinations a guide for bibliophiles to more than 500 literary sites across the United States and Europe. Check into Hemingway's favorite hotel in Sun Valley, or stroll about Bath's Royal Crescent while entertaining fantasies of Lizzie Bennett and her Mr. Darcy. The fully revised second edition includes all of the previous sites with updated locations plus color images and an expanded section on all things Bronte. 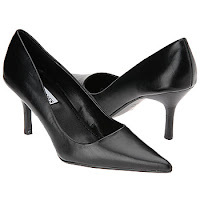 The book begins with thematic chapters covering author houses and museums, literary festivals and walking tours. Then, in-depth explorations of authors and places take readers roaming Franz Kafka's Prague, James Joyce's Dublin, Louisa May Alcott's New England, and other locales. 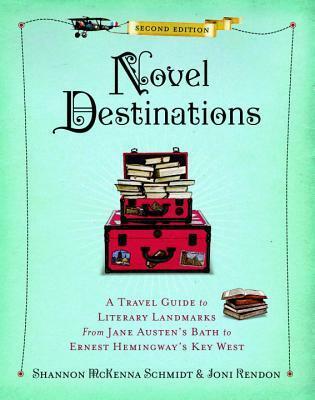 Peppered with great reading suggestions and little-known tales of literary gossip, Novel Destinations is a unique travel guide, an attractive gift book, and the ultimate bibliophile's delight." Kritters Thoughts: A very fun reference book that I enjoyed reading bits and pieces at a time. From the birthplaces and childhood homes of authors to bridges and buildings that were significant in the best of books, I loved exploring this book. This book made me want to make a trip that centers around seeing a few of these fun spots. My husband the non reader may even enjoy a few of the more historical and less completely book related adventures. I think this book is a perfect gift for the readers in your life. Especially if you have readers that also love to travel. I was glad to see that it had the name of the place, the address, a website and vital information and the blurbs were just the right length - they provided the right amount of information if you were unsure of who the author was you got a little background about the author and why this location was special to them. After reading this book, I will be in pursuit of the first version to see what spots it highlights. I am excited that this book exists and plan to purchase a few as perfect birthday or Christmas gifts. I have the first edition on my bookshelf and it is a treat! I hope you enjoy it as much as you enjoyed this one.